The Tel Aviv Landing Pad is located at South of Salame (SOSA). Founded in 2013 by 25 leading Israeli investors and high-tech entrepreneurs, SOSA brings together startups, entrepreneurs, corporations and investors – all under one roof. This exclusive global network bridges the gap between the supply and demand of corporate innovation. With SOSA’s unique multi-pronged approach to innovation, corporations, investors, and startups in traditionally separate industries interact in new ways. Occupying four stories of a vintage industrial building in South Tel Aviv, SOSA offers its members a uniquely crafted space, designed to promote interaction, creativity and collaboration. Tel Aviv is a mature startup ecosystem with many Founders establishing multiple enterprises. Learn more about the different players in the Tel Aviv ecosystem. Omri Wislizki is the Australian Landing Pad Manager in Tel Aviv and has been with Austrade since May, 2016. As part of the Landing Pads team, Omri works with Australian startups seeking to access the global market and Israeli innovation ecosystem. Since joining Austrade, Omri has been at the centre of linking the Australian and Israeli startup ecosystem and developing strong networks within investor, startups, multinational innovation and R&D centres, and research communities, to assist Australian startups. As a Tel Aviv native Omri, has been involved in Israel's startup ecosystem throughout his career. After serving as a Parachute Instructor in the IDF, Omri received his B.A in Communications and Interactive Media from the IDC Media Lab. Prior to joining Austrade, Omri was a technology scout for the Korean multi-national LG, as well as undertaking roles within a number of startups. a strong global business network. "The Tel Aviv Landing Pad offers a complete mindset shift in what it takes to be a successful global startup". MOVUS provides intelligent sensory-based solutions to heavy asset industries. BlockGrain is an automated commodity platform which integrates analysis, storage, logistics and trading. Agrihive enables farmers to make informed production decisions through enhanced financial visibility. Audeamus Risk is the world’s first Business Interruption Insurance trading platform (B2B), designed to minimise uninsured risk. Bioproton is a biotechnology company developing and manufacturing high quality animal feed supplements to enable higher quality-end nutrient products. CapitalPitch is a platform to accelerate startup investment and Venture Capital Fund. Ceres Tag smart ear tag is the future of livestock industry data and information now and for the next generation of graziers. CurrencyVue reduces the time and costs for businesses that manage an FX program. ditno. makes security simple by providing continuous security across all Servers & Hosts, while using a centralised management portal. The platform is a live data integration platform which is used to connect data, systems and APIs. A secure supply chain management platform that seamlessly connects growers, grain traders and grain buyers. Making the Dream of Home Ownership a Reality for Millennials, Worldwide. 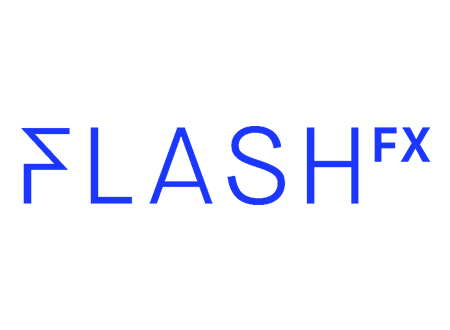 Flash FX puts you in control. Look at past exchange rates. Choose the conversion rate you’d like. Automate your international money transfer. Goodments is a highly personalised investment app that matches investors to shares based on their environmental, social and ethical values. A specialist manufacturer of plastic agricultural mulch films. Hydrox was created to commercialise the patented Solar Shrink mulch film technology . The world’s first Life Management Platform, giving individuals the ability to capture, store, sync and share their personal data and identity. Nexgen is an emerging plant trait company delivering non-GM solutions for a range of pathogens, production traits and consumer traits. Anti-phishing platform – PhriendlyPhishing is uniquely placed, blending technology and training into one platform. Lending platform- Sail’s objective is to provide innovative and transparent online business loans to SMEs. Simply Wall St helps you make informed decisions by giving you access to institutional quality data and analysis presented visually. Spriggy is a prepaid card and mobile app for 8-17 year olds that helps parents and young people manage money together. UploadOnce is transforming the financial services landscape by removing the friction in doing business online. Fintech startup which prides itself in being Australia’s trusted business loan marketplace. WaterSave is delivering an affordable, automated farm irrigation solution, which can be monitored from anywhere in the world. Driven by government policy, Israel’s innovation ecosystem is shaped by a sophisticated network of major global investors, startups and relevant service providers such as expert IP lawyers. The Compass Global Startup Ecosystem, which ranks startup ecosystems around the world, ranked Tel Aviv in 2015 as the best startup centre outside of the United States. The Tel Aviv Municipality describes the city as “entrepreneurially-focused and no-nonsense … Tel Aviv packs a perfect ‘innovation ecosystem’ storm: thousands of high-tech companies and startups; leading multinationals; accelerators and co-working spaces; and dozens of networking events." There are more than 300 multinationals from various sectors such as fintech, agtech, tech giants, digital, mobility, energy, travel. Companies present in Israel included Google, Facebook, Apple, Singtel, Verizon, Samsung, GE, General Motors, along with a range of global financial leaders. The Israel Venture Capital Association reports that in 2016, venture capital funds in Israel raised US$10 billion across 104 deals compared to US$4.43 billion in 708 deals in 2015. Tel Aviv is a mature startup ecosystem with many Founders establishing multiple enterprises. Learn how to become a better Founder by refining your product/service offering and ‘go global’ market strategy as well as obtaining insights from experienced entrepreneurs and the different players in the ecosystem.